Content, content, content; that’s all we seem to hear about these days. You are bound to be asked things like “what kind of content do you get the most out of” or “how much content do you produce each month” or “where do you get your ideas for all your content”. You can find the hackneyed cliche “content is king” on more than one million web pages, according to Google. And that’s before you discover that there are over two million web pages saying “content is fundamental”. It’s all as though the world has gone “content crazy”. Indeed, you might think that “content” was only invented in the past decade or so as an “Internet thing”. However, businesses have been using “content marketing” for centuries. Go back 25 years and the content was articles in magazines, corporate videos and handouts provided at events. Go back 50 years, and much content was oral, delivered by salespeople making their pitch. Go back 100 years, and there were billboards – the historical version of Twitter. And if you venture back a couple of thousand years, merchants and traders used stories as content. Businesses have always used content – words and visuals that help them sell. However, it is different now to what it was like a couple of decades ago. Then you could use one piece of content, and it would last for ages. Now, with the voracious appetite of web users, you are lucky if an item of content continues beyond a week. You probably need to blog more than ever before. About 25 years ago one of my clients was a major international chemical company. They were “number one” in many of their global markets and were renowned having started in business in 1926. I am talking about ICI – Imperial Chemical Industries, which for much of its life was Britain’s largest manufacturer and a mainstay of the FTSE100. ICI produced chemicals, explosives, paints, dyes, fertilisers, insecticides and foodstuffs. However, shortly after I started working with them, there was a review of spending across the business which revealed something interesting. It found that the company’s second-highest level of spending after raw materials was not staff costs. Instead, most of the company’s expense was on publishing. It produced magazines for customers across dozens of different sectors, it had several in-house publications, it had magazines for pensioners, and that was on top of all the brochures, leaflets and documents it produced each year. ICI may well have been a chemical company, but its second most common activity was publishing. Who would have thought that? The analysis made ICI think again about what was important. It was able to rationalise specific activities, find savings and improve communication as a result. If a similar analysis were to be conducted today in many modern firms, you would probably find that producing web content is the company’s main activity. You could go to a car manufacturer or a firm of accountants, for example, and get them to analyse how much web content their employees were producing. It’s likely that across many companies, creating web content is a sizeable and significant activity. Yet the scope and size are probably not realised by many firms because it is spread around dozens of different departments and teams. Even if you work alone, web content is probably a significant part of your work. How many hours each week do you spend on producing web content? Probably a lot more than you realise. All of my content production goes through Grammarly, which provides me with a report of my writing every seven days. Last week, I had written almost 61,000 words of content. That’s more than a book. In one week. And I am not alone – millions of people are doing the same. That’s why the web continues to grow by billions of pages every week. Whatever the business sector is in which you work, your second most common activity is probably content production. In the past, content was something a specialist department produced. If you were in sales, someone else created the leaflets. If you were in HR, another office, such as the graphics team, provided the “new starter” packs of information. Nowadays, content production is distributed throughout a company. This has benefits, but also a causes problems. A significant advantage is that content is now being produced by the experts. Furthermore, timelines can be shortened as you don’t have to take your turn in some central production office. However, there are also problems. In those olden days with centralised content production, it was easy to ensure consistency across the business. Those central content production teams could also ensure no clashes occurred. They could also advise on timelines and scheduling so that the company itself was not under undue pressure due to coincidental campaigns, for instance. Now, with no-one effectively in charge, companies are facing content scheduling mismatches, the inconsistency of message and branding as well as some reduction in quality due to lack of checks before publication. Decentralising content production is highly beneficial, but it is not without its problems. 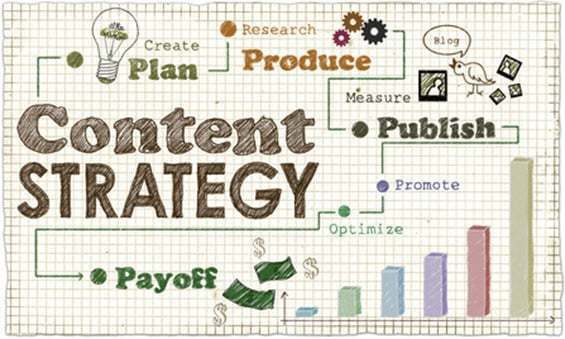 Many firms think they have a content strategy; they don’t. Instead, they have a content production plan. That’s not the same as a strategy. Who is going to coordinate company-wide content? Who is going to arbitrate on content schedules? Who is in charge of editorial policy and branding for each element of content? How will your content be publicised and promoted? What will you be doing about non-physical content, such as audio information on artificial intelligence devices, such as Amazon Echo? What is the purpose of each department’s content and how does it fit in with all other departments? What is the agreed process for content naming and filing? What are the minimum requirements for quality in each piece of content? I could go on. There are several questions that need answering if your content is to work. It isn’t just about coming up with ideas and producing the material. Indeed, that’s probably the least of your worries. How to Perform A/B Testing for Social Media Campaigns?